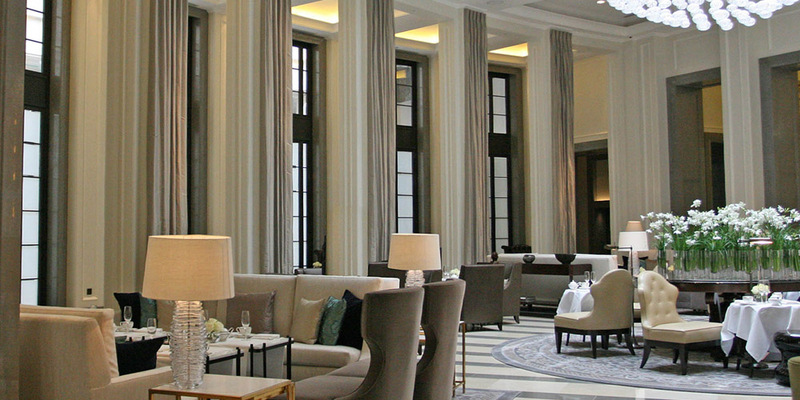 We’ve had another busy year as preferred supplier to several prestigious hotels, including the exclusive Corinthia Hotel London and The Old Parsonage and The Old Bank Hotels in Oxford. 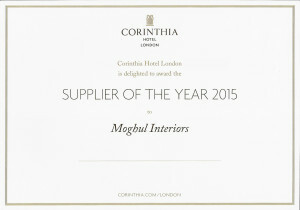 Our loyal client base, and receiving Supplier of the Year 2015 from the Corinthia Hotel is testament to the success of our pampering, all-encompassing contract soft furnishings service. 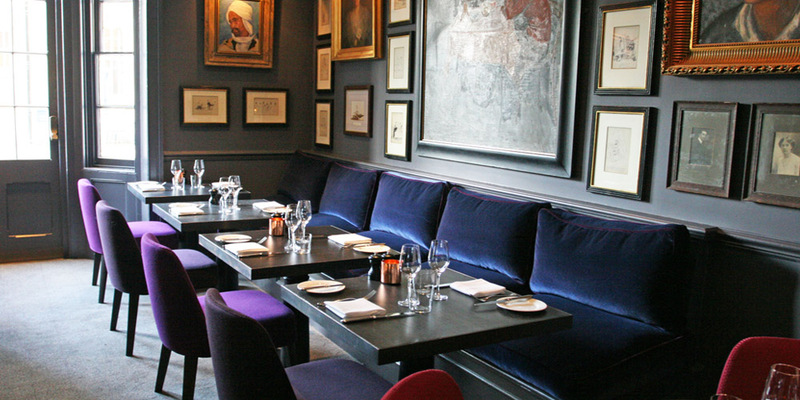 We typically work closely with Interior Designers and their hotelier clients on everything from entire hotel refurbishments through to more piecemeal improvements. 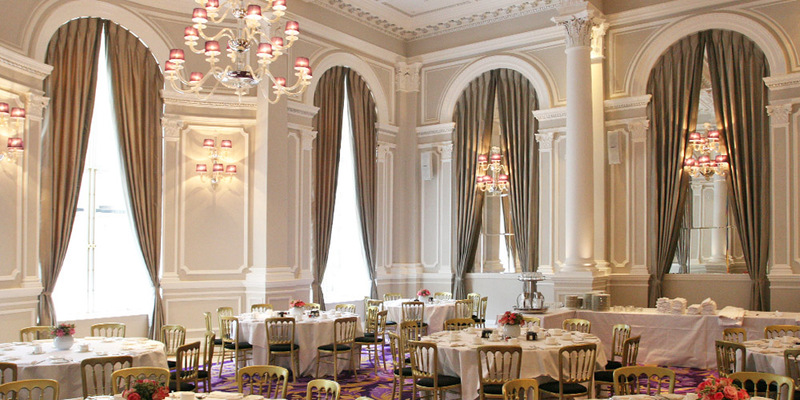 Our technical expertise enables us to take on the most ambitious challenges – from making an 18metre wide compound curve pole happen in the Corinthia’s Northall Restaurant through to creating in our workshops completely bespoke hand drawn curtain poles to fit an exacting brief at the Old Bank Hotel. Our product offering encompasses hand made curtains and blinds (obviously! ), bespoke poles and tracking solutions, shutters, bed linen, and all soft furnishing accessories, from bed throws and valances, furniture upholstery, banquette seating, fabric and upholstered walling and drawer inserts, through to bespoke lamps and shades. 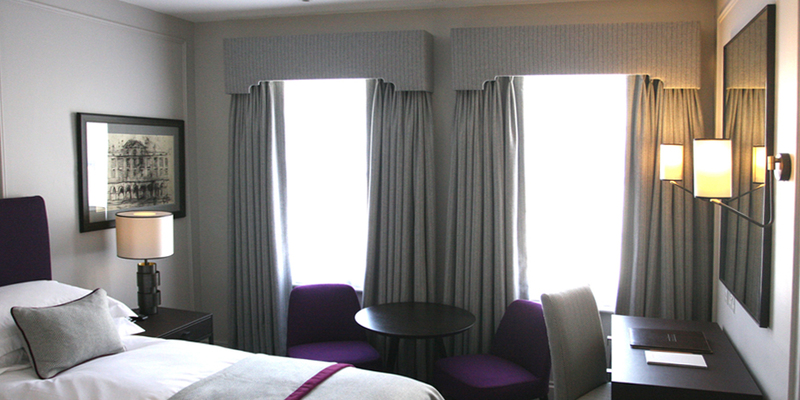 The Montcalm Marble Arch – for a leading central London hotel, including the design and manufacture of FR fabrics to a specific brief, fabricating and supplying curtains, blinds, and bed throws and sourcing bespoke furniture. St George, Fulham Reach – working 24 hours a day over a 48 hour period to prepare, template and cover in situ a 26 section stair rail over 3 floors for the marketing suite. 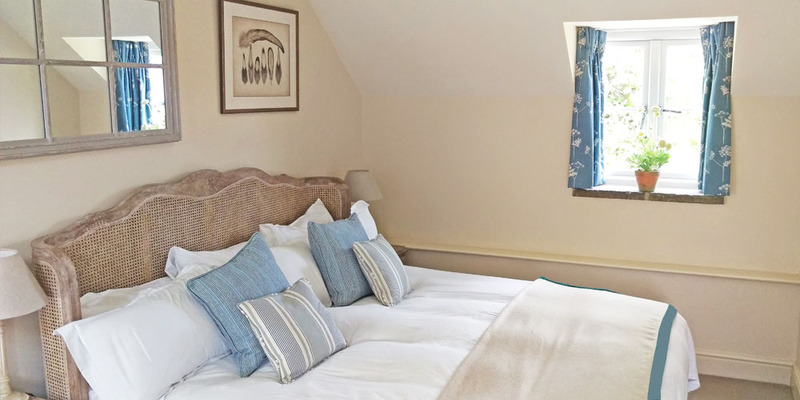 Eshott Hall and Doxford Hall, Northumberland – designing, specifying and installing all soft furnishings, including curtains, blinds, bed runners and cushions. 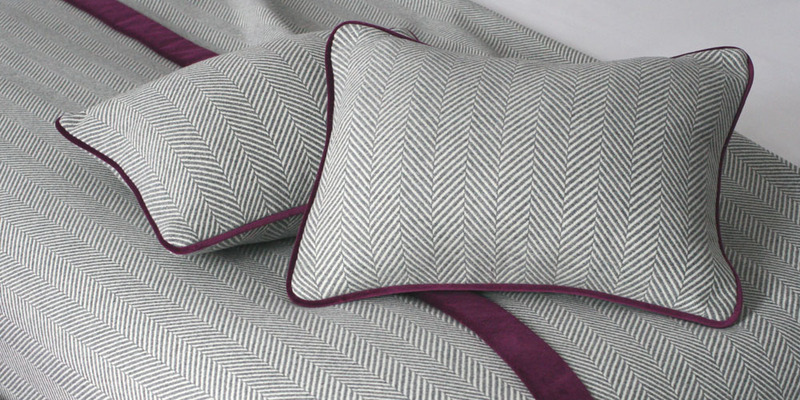 Our knowledge of the entire contract soft furnishings process enables us to give our clients an unrivalled level of advice, service and support. © 2019 Moghul Interiors Limited. All rights reserved.